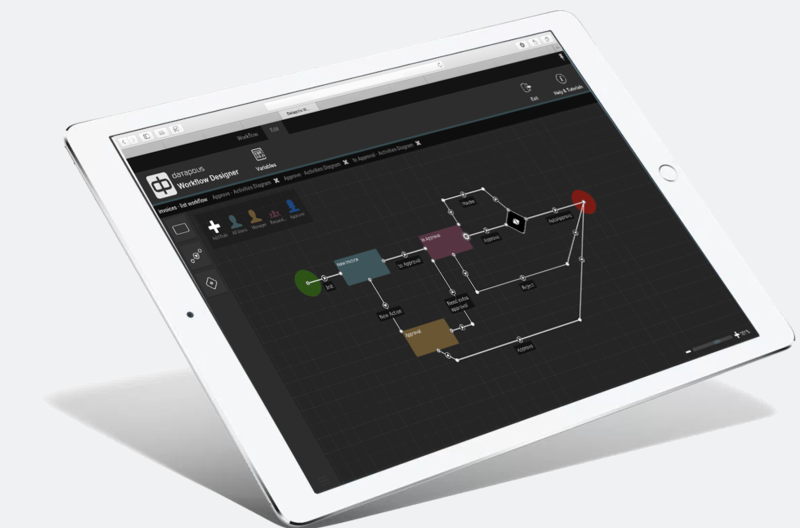 The heart of Datapolis set of workflow tools is an easy to use and understand graphical workflow designer. Powerful – with embedded designer of Forms – allows creation of highly complex workflows in very short time. Workflow participants do not need to learn how to handle a new software. User interface is intuitive and integrated with SharePoint/Office 365 interface. Datapolis Process System comes with a set of BI and Reporting tools facilitating decision-making by executives. 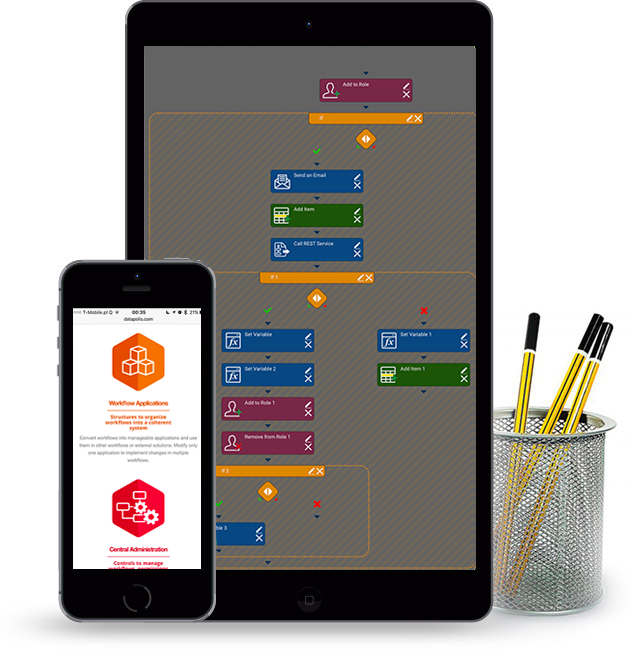 Datapolis Process Intelligence is a tool designed to empower process optimisation. HTML Form designer gives endless possibilities for User interface customisation. SDK allows to develop custom activities and functions. Created workflows may be used as new functionalities for use in other workflows. Datapolis workflow products are made for SharePoint and Office 365. User interface is entirely integrated with SharePoint lists. Sharepoint users and permission model is implemented inside Datapolis workflows. Sharepoint lists are accessible from every activity. Datapolis products use only native Sharepoint workflow engine. Our workflow tools has been growing with the SharePoint growth. Having started in 2008 with SharePoint 2007, we have been continuously developing our system through SharePoint 2010 and 2013. Datapolis Process System 2016 was ready to launch a week before the SharePoint 2016 launch. Datapolis workflow products are implemented in dozens of enterprises all over the world. Banks, financial institutions, big manufacturing and engineering companies use Datapolis workflows in their daily business. Our customers and partners can be sure of our help if there arises a need to extend our tools with additional functionalities. Datapolis workflow platform is open for custom enhancement and development.